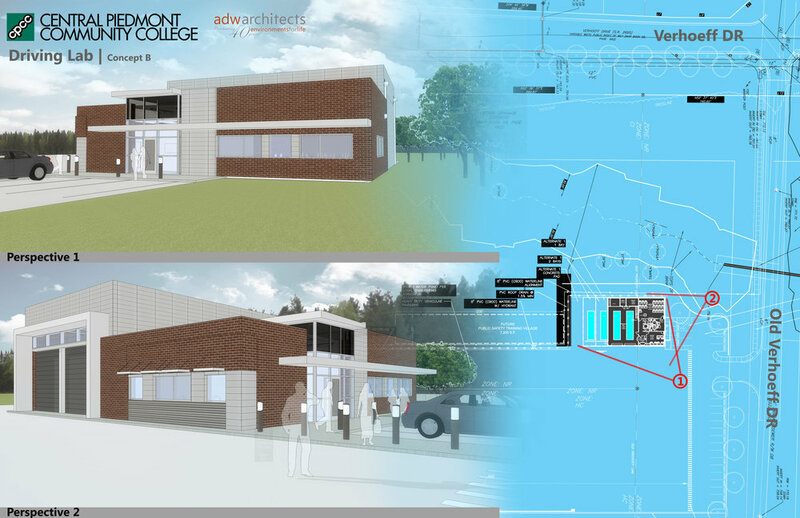 Project Elements: The new building will house classroom, office, and garage space for the School’s Transportation Systems. The project includes a 200’x500’ concrete driving pad. The pad will be used by for commercial trucking licensing (63’ tractor trailers), Fire Department training (over a section of concrete capable of withstanding pumper trucks and ladder trucks performing aerial drills), and 9 different driving courses for Law Enforcement and First Responder training. The project is a result of master planning by ADW in 2015 identifying a land swap opportunity with the County and partnership with The Town of Huntersville Parks and Recreation.